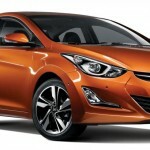 Here we have the very-first images of the refreshed Hyundai Elantra, which has made its domestic market premiere today. Sold as Avante in Korea, the model has been given a mid-cycle refresh for the 2014 model year. While not yet confirmed, the same refreshed design and improved product features of the model showed here, will carry over to the US-market Elantra. Latest rumors suggest that Hyundai will introduce the updated Elantra sedan at the Los Angeles Auto Show in November, but that remains to be seen. 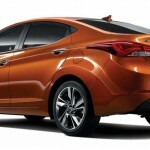 The updated Hyundai Elantra incorporates several styling enhancements including the updated front fascia with newly-designed front bumper and hexagonal signature grille. The bumper sports a re-styled fog lamps, while front headlights adopt LED light guide and projection headlamps. Furthermore, the facelifted compact sedan features a set of redesigned 17-inch alloy wheels (those look really stylish), as well as chrome moulding on its belt line. 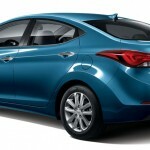 Hyundai says the updated Elantra also features some improvements inside the cabin. Those include a redesigned air vent and front center armrest with slightly raised position for improved usability. The refreshed Elantra also boasts rear seat air vent, 3.5-inch OLED display, ventilation seats, flex steer system and smart parking assist system. Unfortunately, Hyundai hasn’t released any photos of the updated interior. Rather than showing us the restyled cabin, the company provided some information in regards to the car’s powertrain technology. 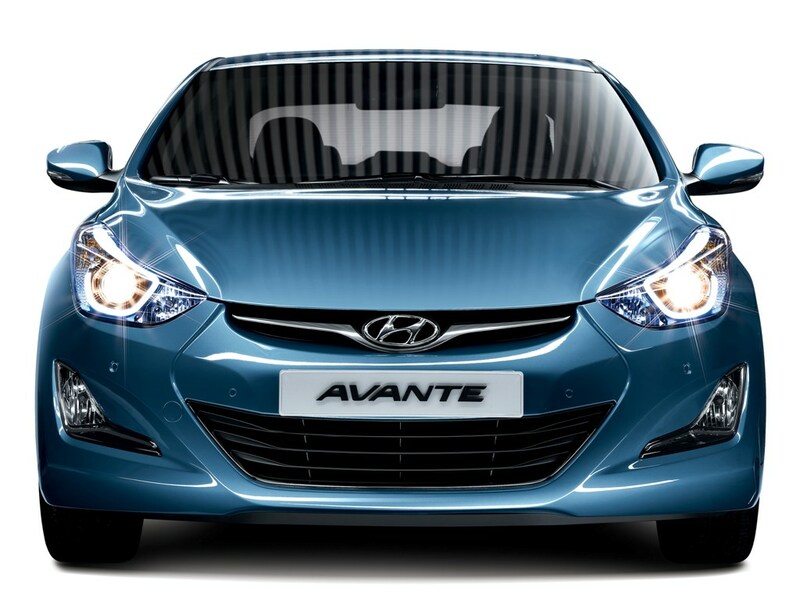 The Korean-market Elantra (Avante) gets a new 1,6L CRDI diesel engine that generates 128 horsepower and maximum torque of 279 Nm (206 lb-ft). When coupled to the 6-speed manual gearbox, the model achieves a fuel consumption of 5,4 liters/100 km (43,5 MPG US), while with the automatic it consumes 6,2 liters/100 km (37,9 mpg US). For the first time in Korea, the Elantra comes equipped with the carmaker’s eco-friendly Idle Stop & Go -ISG system, which lowers fuel consumption by up to 7%. 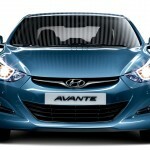 According to Hyundai, the Avante / Elantra facelift is scheduled to hit the dealerships in the fourth quarter of the year.